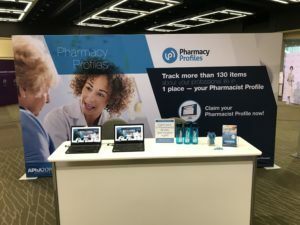 The idea for Pharmacy Profiles was born of the American Pharmacist Association’s ongoing advocacy to achieve formal health care provider status for the nation’s pharmacists. The long campaign by APhA and others in the pharmacy profession to achieve health provider status finally is beginning to bear fruit in a number of state legislatures, and there is substantial momentum at the federal level as well. But APhA recognized early on that legislative and regulatory victories would only be the beginning. Pharmacists would need to be provided the tools to fulfill their obligations as health care providers in much the same way as physicians and others long have been doing. That recognition was the genesis of Pharmacy Profiles. Our vision is to provide a one-stop repository of all of the professional and relevant personal information a pharmacist would need to achieve and maintain full recognition as a health care provider. Likewise, we want Pharmacy Profiles to be the resource for those who employ, contract with, or otherwise collaborate with pharmacists as health care providers. A diverse array of industry stakeholders increasingly requires up-to-date, verifiable information about pharmacists – and as health provider status becomes more of a reality, that need will only mushroom. Pharmacy Profiles was created by pharmacists for pharmacists to meet that need. Our service is free of charge to pharmacists. But it is not without obligations. Our expectation is that you will complete your pharmacist profile on our portal – and that you will do your level best to keep it up-to-date. Other health providers have been fulfilling very much the same obligations for some time now, and payers, employers, and government entities expect them to. Pharmacy Profiles is designed to provide you a leg up on those obligations. Our platform is built for today’s and tomorrow’s pharmacist marketplace. And we are here to help all industry stakeholders who work with pharmacists. With expanding patient care roles come greater expectations. Expectations of documented advanced credentials and training, completion of state-specific practice protocol requirements, readily accessible collaborative practice agreements, and much, much more. Our goal is to make all of this a bit easier for pharmacists – and also for those with whom they collaborate. We have only just begun. There is much more to come. Stay tuned.